The events in Newtown just over a week ago have captured the attention not just of Americans but of the entire world. School shootings are nothing new; there have been 41 of them since 1989. What makes this one particularly heinous is that the age of the kids are mostly five and six years old. They didn’t have any sort of chance whereas middle school, high school and college students might have the wherewithal to run and/or hide. Of course, this has dredged the gun control argument back out in the open as every such incident does. After the theater shootings in Aurora, Colorado this past summer, there were some rumblings about it but this time, it doesn’t feel like it’s going to go away. Americans are outraged and they want something done. The conservatives of course, say gun control is not the answer. 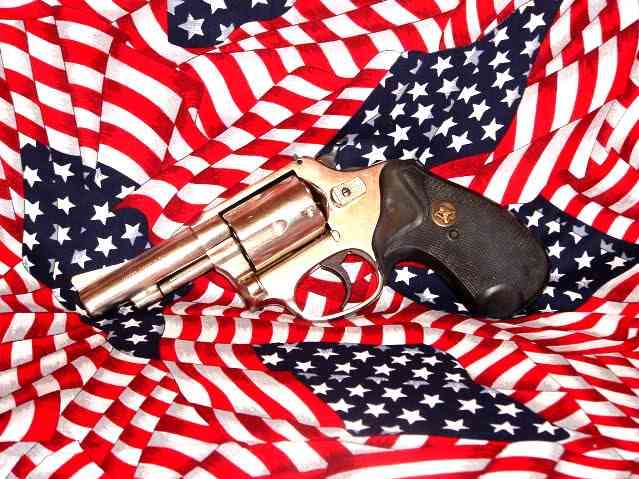 We have plenty of gun laws on the books, sufficient for the needs of the nation. The answer isn’t limiting guns. If we do that, only criminals and psychos like Adam Lanza will have guns. We’ll be defenseless. It will be a bloodbath as innocent civilians cower in fear, everyone a victim waiting to happen. People who want to kill innocent people will find a way, NRA supporters argue. They point to the incident in China where 22 schoolchildren were stabbed by a crazy person there. Guns don’t kill people, so goes the saying – people kill people. Except that’s ignoring the obvious; guns make it a hell of a lot easier for people to kill people. Yes, that man in China stabbed 22 kids – in a country with some of the strictest gun controls on Earth. Yet not one of those kids died. Not a single one. How many do you suppose would be lying in their graves if that man had a gun instead of a knife? Another pro-Second Amendment argument is that citizens should have the right to arm themselves to overthrow a tyrannical government. But who decides what a tyrannical government is? Some say the current administration is. Others thought the previous one was. Should citizens take up arms because they don’t agree with a governments policies? If the abortion laws are repealed, should the Pro-Choice supporters march on the White House with shotguns and handguns? Of course not and even if there was a legitimate reason to overthrow the government, an armed citizen militia isn’t going to do squat against a government that can employ armed forces that can orchestrate unmanned drone attacks guided by satellites, or stand up to attack helicopters. When the founding fathers authored the right to bear arms, it was 250 freaking years ago. The world has changed just a tad since then. Look around you – have there been any armed insurrections that have been successful without outside help? Most of the successful overthrows of government have taken place using non-violent means. Look at Egypt for God’s sake. Or look at history. Owning a gun doesn’t protect you from crime; nearly everyone was armed in the Wild West and yet the murder rate was as high as it has ever been back then. We’ve had epochs where crime was high and there is no correlation that a better armed citizenry would have made a jot of difference. Now of course there is always the need to cast blame. These people are crazy and needed access to mental health care (which is somewhat ironic since many of the people making this argument have been arguing against it as a tenet of Obamacare) which I think needs to be part of the solution. Our society is violent and videogame makers and Hollywood need to be reined in (even though there is not one shred of evidence that links violence and videogames and/or movies) which I disagree with. The truth is that there are a lot of things wrong that have led us to where we are in terms of violence. One set of laws isn’t going to fix everything. That’s a given. But we have to start somewhere. We have to make some changes because what we have now isn’t working. When it comes to protecting our children we are failing and no, more guns isn’t the answer. Having armed guards at schools is ludicrous; innocent children are more likely to get shot than would-be mass murderers. And as school budgets get slashed where are we going to find the funds for armed guards? Chances are that schools won’t be able to afford “professionals,” they’re going to hire people who they can afford. And they might well be hiring guys who are ticking time bombs. The answer starts with making it harder for people to get guns at all and IMPOSSIBLE for them to get semi-automatic or automatic weapons. There is no need for anybody – ANYBODY – to have a weapon that can discharge 30 bullets in less time than it takes to read this sentence. Hunters don’t require them and you don’t need that kind of firepower to protect yourself; in fact, it’s just as likely that a gun in your house is going to be used against you than to protect you. Right now we’re all sick at heart over what happened in Newtown. Both sides agree on that. But as all the children and the heroic adults who died defending them have been laid to rest, their legacy will live on, hopefully as the catalyst for stricter laws, an increased access to mental health care programs and perhaps starting a conversation among us all that violence isn’t the answer to our problems. There will be no fixing the heart for this one, not for this nation and especially not for the families in Newtown who have lost so much. We will always wonder why Adam Lanza did what he did – why he felt the need to inflict so much pain before taking the coward’s way out. It really doesn’t matter in the long run. I don’t think the answers to those questions will save the world from any future Adam Lanzas or ease the pain caused by this one. What is left now is to address the problem we have been avoiding for so long. It’s time to enact gun control laws that are more in line with the other nations of the world, which have fewer gun-related deaths by a wide margin than we do. We have the shameful record of more guns per capital than any nation on Earth. And not by a small margin, either – the nearest competitor is 30 guns per hundred citizens behind us. And the countries that are mostly near us in that regard are countries that have had civil wars or rampant crime. I don’t claim to have the answers. It just seems logical to me that since most of these tragedies have involved legally-obtained firearms, there should be a means of making it harder to obtain firearms legally. But I think the only way to come close to fixing the hearts of those whose hearts have been broken – not just the families of Newtown, but those of Aurora, Columbine, Blacksburg, Bart Township and Jonesboro and all of us who have hugged our children just a little tighter after each of these incidents – is to do something as a nation to keep these tragedies from being commonplace.